The State Legislative Assembly of the State of Amazonas (ALE-AM) held today (24) a special session in honor of Day of Caboclo (mixed person of Native American and white) of and the Mixed Race Day (“Dia do Mestiço”, in Portuguese), celebrated for 24 and June 27 respectively. The event – an initiative of Mrs Conceição Sampaio (PP) – brought together representatives of social movements, schools, teachers and students. For traveling, Mrs Conceição Sampaio was also represented at the meeting by Mrs Therezinha Ruiz (DEM). In his speech, Therezinha Ruiz recalled the saga of Northeast immigrants who began to populate the Amazon from the rubber boom, and later, during the second world war. 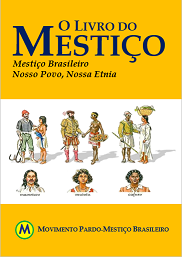 “As rubber soldiers, brought the northeastern part of Brazil to the Amazon, leaving a significant legacy for the region,” said the deputy, adding that the miscegenation of the Northeast with mestizo of Amazon “was born the new Amazonian caboclo.” “Finally, the caboclo is not Indian (pre-Columbian); the caboclo is not white (European); the caboclo is not black (African), the caboclo is not yellow (Asian); the caboclo is a Mestizo. The caboclo is Amazonian” emphasized the parliamentarian. During the special session, the president of the Mestizo Nation Movement, Helda Castro challenged the Racial Equality Statute that is to be sanctioned by President Luiz Inacio Lula da Silva. She points out flaws in the drafting of the document. “There is discrimination in relation to the Mestizo, because we are not blacks, are even shifting cultivators,” he argues. Second place went to the student Roseane Gomes de Mesquita, the state school Josué Claudio de Souza, and student Deodoro Patricia de Souza Almeida, Marcoantonio Vilaça’s public school, was third. Leidiane Roseane and awards received as a computer leptop (each) and a medal, respectively, and Patricia was awarded a medal and a certificate. And schools received trophies. “Gilberto Freyre ended the myth that the Mestizo was responsible for the backwardness of Brazil,” said Leidiane, who won the first contest, while reading your essay from the rostrum of the Legislative Assembly. A presentation of the fanfare of the state school Petronio Portela, who sang the National Anthem of Brazil, ended the special session in honor of Day of Caboclo and Mestizo. Tagged with English, Mixed Race Day.